B21 Whitening Cream is light, silky, immediately absorbed cream is a daily treatment that immediately clarifies your complexion, minimizes existing brown spots, prevents melanin production, and stimulates skin renewal. Corrects skin color imperfections, reducing the size and intensity of brown spots. Evens out complexion, the skin becomes lighter, more uniform and flawlessly radiant. – Ensures exceptional whitening performance. – Blocks tyrosinase, a key enzyme in the formation of melanin. – It has an anti-inflammatory and anti-oxidant effect that prevents the stimulation of melanocytes. – After melanin is produced, it promotes skin renewal and minimizes existing spots. – Moisturizes the skin, which optimizes its lightening effect on the complexion. Apply Whitening Cream morning and night on the face and neck. 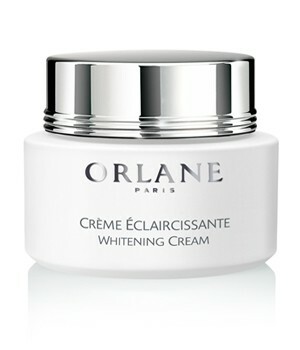 For best results, use with Orlane’s Whitening Lotion and Whitening Serum.